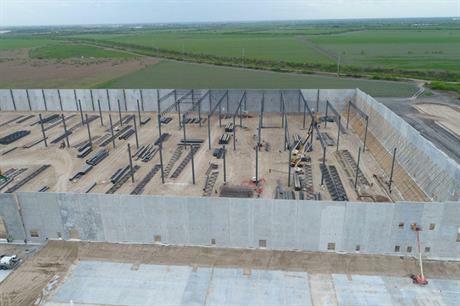 MEXICO: Blade manufacturer TPI Composites will add two additional production lines at its site in Matamoros, after long-term customer Vestas exercised an option under the two companies' supply agreement. The site in northeast Mexico, on the border of with the US, will grow to six production lines. TPI’s factory produces blades for Vestas’s V136 turbine model. Production from the first two lines is set to begin at the site in Q3 2018, TPI said. Vestas’s relationship with TPI in Mexico was launched in April 2017, when the companies signed a supply agreement to cover Central and South America. The initial deal included the establishment of two lines at the new 48,000m2 factory. In May 2018, Vestas exercised its first option to expand the facility to four production lines. TPI also produces Vestas blades in China. Building on more than 30 years of experience and independent market research, Windpower Monthly is proud to bring back the Blade O&M Forum, our flagship event in North America attended by key blade specialists all under one roof. Visit www.windbladesna.com to find out more.